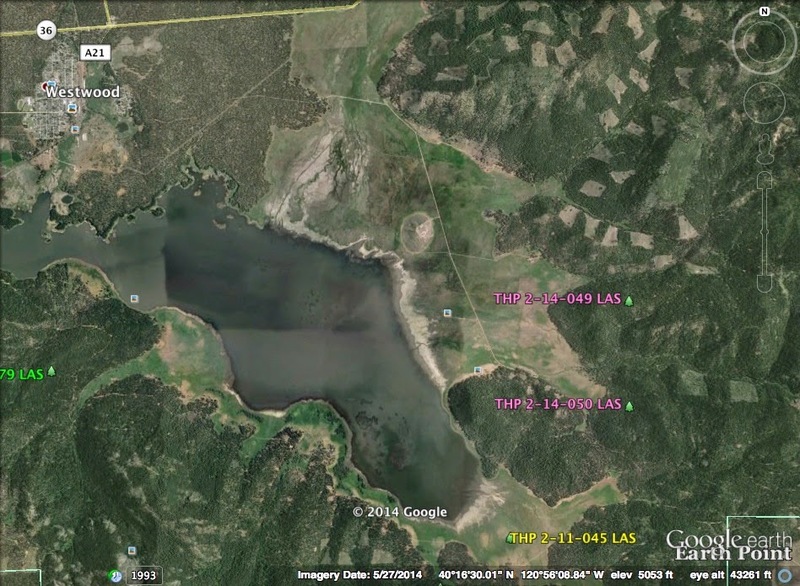 THPBlog: W.M Beaty & Associates planning a pair of group selection THPs near Westwood, CA and Walker Lake. W.M Beaty & Associates planning a pair of group selection THPs near Westwood, CA and Walker Lake. W.M Beaty & Associates is planning a pair of group selection THPs near the east shore of Walker Lake. Together, these THPs will log 4,422 acres with group selection logging which removes individual trees, and/or small groups of trees of up to 2.5 acres. Both these THPs will be logging in stands occupied by northern goshawks and California spotted owls, with other species such as sandhill cranes, willow flycatchers, Cooper's hawks, red tailed hawks and great horned owls reported to be in the general area. This THP is about 5 miles SE of Westwood, CA and Highway 36 near the east shore of Walker Lake (a.k.a Mountain Meadows Reservoir). W.M Beaty & Associates is planning a tractor based logging operation in white fir, ponderosa pine, incense cedar, Douglas fir and sugar pine forests. There are unstable areas along a stream channel in sections 27, 28 and 29 and scattered debris slides within sections 15, 17, and 20. W.M Beaty & Associates is proposing to use existing segments of roads within class I (year round stream), class II (mid sized stream) and class III watercourses (intermittent stream), and use 4 landings within class II and class III watercourses. 38 road drainage sites are planned for work including rocking, dip construction, culvert repair and replacement. There is an inactive goshawk nest within the group selection units in section 16, willow flycatcher habitat in Section 19, and sandhill cranes have been spotted in some of the meadows outside of the THP area. Susanville beards tongue was reported to be in sections 9, 15, 16, 19 and 22. This THP is about 5 miles SE of Westwood, CA and Highway 36 near the east shore of Walker Lake (a.k.a Mountain Meadows Reservoir). W.M Beaty & Associates is planning a tractor based logging operation in white fir, ponderosa pine, incense cedar, Douglas fir and sugar pine forests. There is a debris flow from a slide on USFS lands that was deposited in the flood zone of Mountain Meadows Creek within the THP area in Section 20. W.M Beaty & Associates is proposing to use a segment of road 2800 within a class I watercourse, segments of the moonlight road and road 2710 within a class II watercourse, and segments of roads 2700 and 2802 within a class III watercourse. 58 road drainage sites are planned for work including rocking, dip construction and culvert repair/replacement. There are 2 northern goshawk nesting territories within the THP area in sections 30 and 32, one California spotted owl nest in section 28, one Cooper's hawk nest in section 8, and a red tailed hawk and great horned owl nest in section 24. One breeding pair of Sandhill cranes was reported to be .6 mi west of the THP area. Also, several communities of Susanville beardtongue were reported to be within the THP area mostly near rocky outcroppings. More information is available on the THP Tracking Center website.